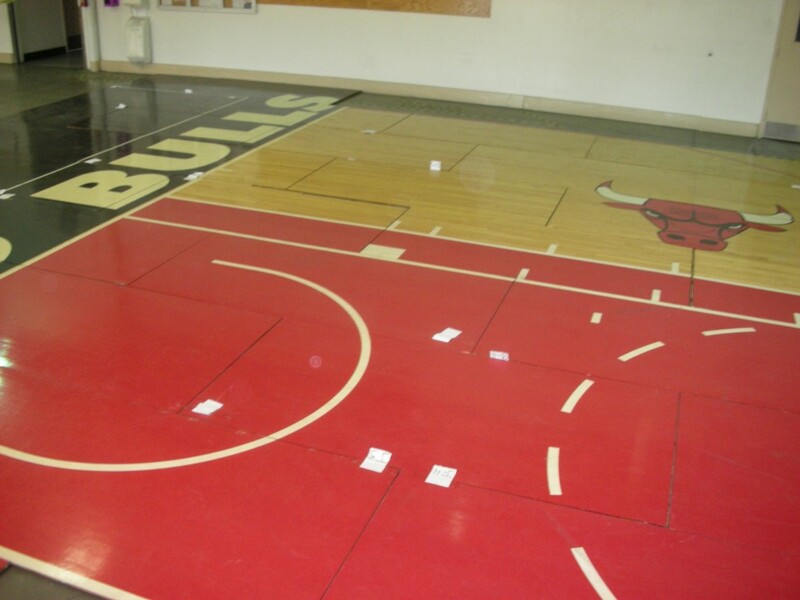 If you’ve been with UpperDeckBlog.com from day one, you may remember our very first Brag Photo of the Week: it was a shot of the United Center floor before it got divided up and shipped out for our unique memorabilia pieces. 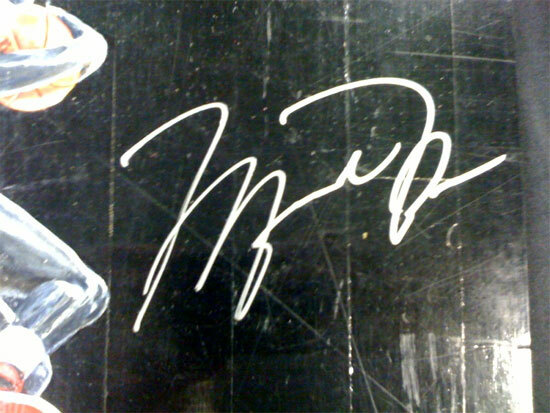 This is a piece of the same floor, featuring unique art by Jolene Jessie, and autographed by MJ himself. As you can tell by the numbering, quanitites are extremely limited, but we do have some left. Click here to check it out in the online store! Wow! 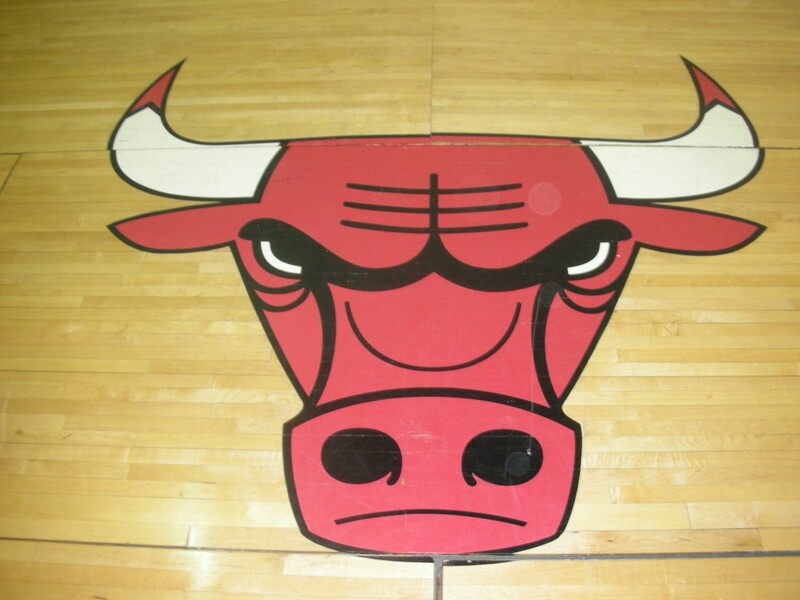 Those are beautiful. What a cool idea to sell full sections, those will make 6 collectors very happy! 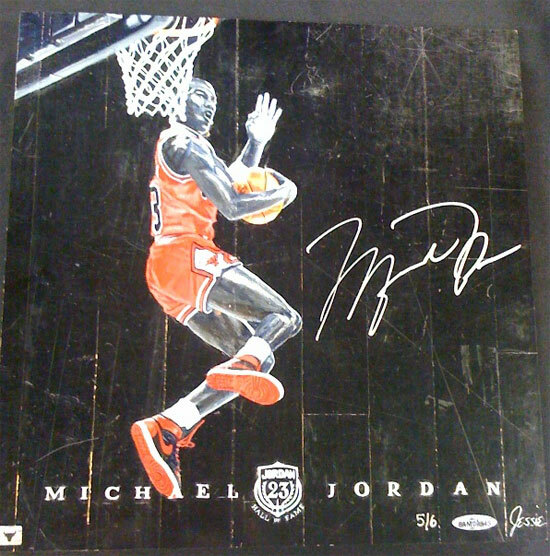 Awesome piece … how much are they?